In this episode of CauseTalk Radio, Megan and Joe talk to Abby Lunardini, Vice President of Brand Marketing and Communications at Virgin America, about #TinyDogsTinyFares. With every booking at VirginAmerica.com on Cyber Monday, the airline donated ten dollars to its animal shelter partners: The San Francisco Animal Care and Control, The American Society for the Prevention of Cruelty to Animals and Animal Haven. Also this week, the airline is hosted its seventh “Operation Chihuahua” airlift – flying Chihuahuas in style from San Francisco to New York so they can be adopted into loving homes – just in time for the holidays. How Virgin American went to the dogs! How “Operation Chihuahua” has evolved since 2010. How Virgin America promoted #TinyDogsTinyFares to its customers. Why Virgin America launched the effort on Cyber Monday instead Giving Tuesday. How “Operation Chihuahua” and #TinyDogsTinyFares fits into Virgin America’s social responsibility strategy. Joe’s early experience with Virgin America in an online charity contest and his bitter loss to Rabbi Chaim! The challenge of airlifting Chihuahuas across the country. Joe tests Abby’s knowledge of Chihuahuas! Are they really the smallest dog breed? 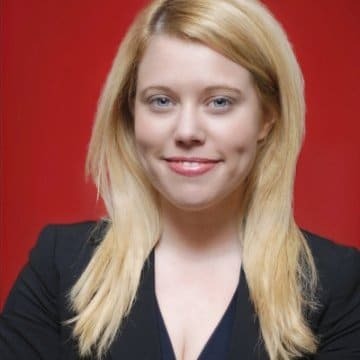 With 15 years of experience in public relations, brand communications and public affairs, Abby has helped lead Virgin America's communications efforts since the launch of the brand in the U.S. in 2007.